Like personal health regimens that prescribe adequate sleep, a balanced diet and exercise, preventive medicine for servers not only saves you money, but eliminates worries as well. The best server maintenance plans include a backup and data recovery plan, which must be frequently tested. 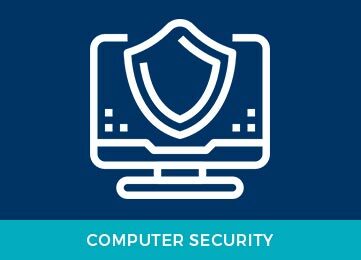 Our TrendMicro/Astaro/Sophos solution secures your wired and wireless networks, the Web, Web applications and emails, and works on software, hardware and virtual platforms. Trend-Micro security can be added for servers and workstations. The backup software applications Ultrabac, Acronis and Backup-Exec offer continuous local protection on cassettes or external disks. TTS has its own solution for online backup on the Web for your servers and workstations. Save up to 30 days of data and restore the data yourself with our client application. Or order a complete restoration on the appropriate media. When is it used? When Windows stops working due to a disk problem or data corruption problem. A system image is an exact copy of your hard drive. By default, a system image includes the disks required for Windows to work properly, but it also includes Windows, your system preferences, and your programs and files. If your hard drive or computer stops working, you can use a system image to restore your computer’s contents (known as a complete restoration), but you can’t pick and choose which elements to restore. All your programs, system preferences and files will be replaced with the contents of the system image. Backup copies and image backup do not constitute a disaster recovery plan. To be a disaster recovery plan, it must meet the needs of the company, and be regularly updated and tested. What are the high-priority processes in the company and how soon should they be available after an accident? These are just some of the questions that must be answered to make an effective disaster recovery plan. TTS has the skills to devise a disaster recovery plan with you and keep it viable (though we hope you’ll never have to use it). Designed & Developed By: TTS Inc.